Nov. 7 marked the 100th anniversary of the Russian Revolution. And Lafayette did something the Kremlin did not: We commemorated it. Josh Sanborn, professor and head of history, and Lindsay Ceballos, assistant professor of Russian and East European studies, organized a roundtable discussion in Kirby Hall of Civil Rights to recognize the infamous working-class revolt that ended 300 years of tsarist rule and created long-lasting, far-reaching aftershocks globally. Sanborn and Ceballos led a panel of experts, which included Christopher Lee, associate professor of history, Michael Feola, assistant professor of government and law, Jesse Sharkey, vice president of the Chicago Teachers Union, and Jennifer Wilson, postdoctoral fellow in Russian and East European studies at University of Pennsylvania, to discuss the historic event and its implications on modern-day activism. Missed the talk? No worries; we went. Here’s our takeaway. First, remind us: What’s the Russian Revolution? In 1917, two major revolutions occurred. 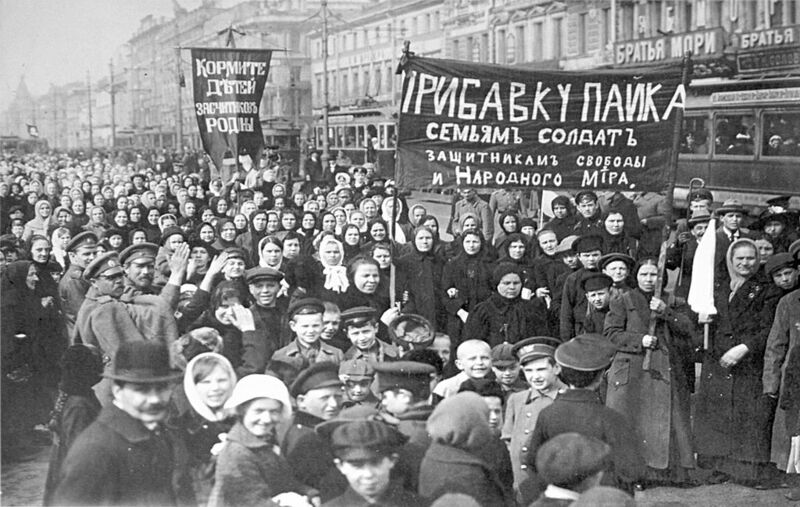 The first (on March 8) was led by urban women opposed to World War I and the government that waged it. Within a matter of days, Tsar Nicholas II was forced to abdicate. The second (on Nov. 7) was led by Vladimir Lenin and his Bolshevik Party. This revolution gave rise to the Union of Soviet Socialist Republics (USSR), a Marxist state that promised social equality at the end of the revolutionary process. But in a tragic twist, the Soviet regime ultimately gave way to violent and authoritarian rule. Wait, why is the Nov. 7 revolt called the October Revolution? Yes, let’s clarify: The October Revolution, also known as Red October, occurred on Oct. 25, 1917, because the Russian Empire and its tsars followed Eastern Orthodox Christianity and its calendar. The Julian calendar was out of step with the Gregorian calendar, which was used in Europe. When Lenin took power, he adopted the Gregorian calendar, and so Oct. 25 jumped to Nov. 7. There seem to be lots of social protests these days (the Women’s March, Standing Rock, Black Lives Matter). Could a Russian Revolution happen again—here? Can modern-day activists learn anything from Lenin? So, how does all of this go over in Russia today?